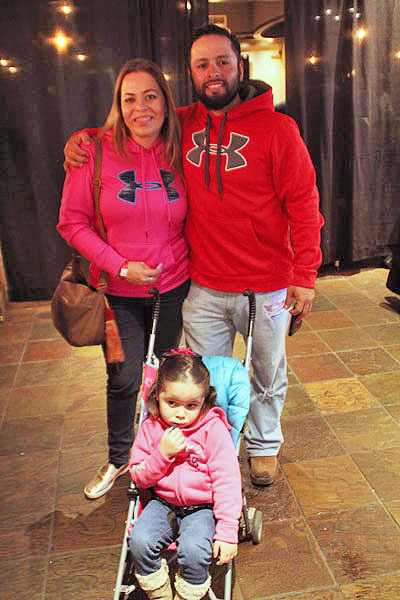 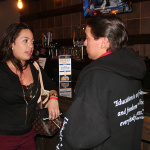 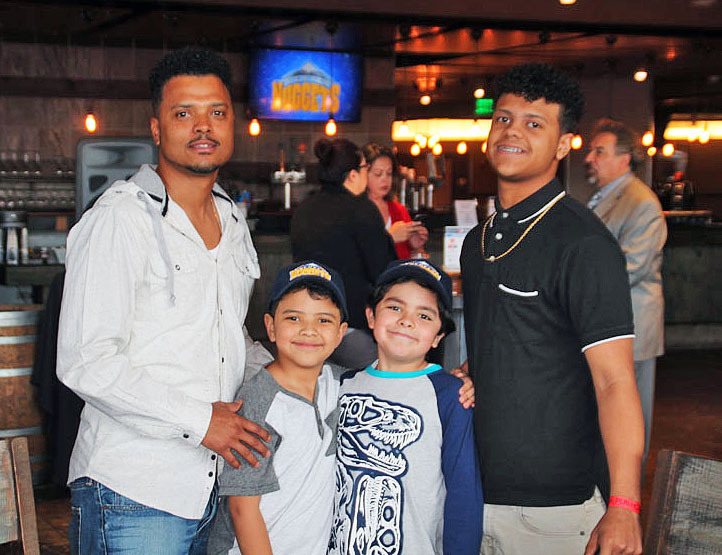 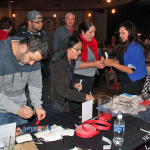 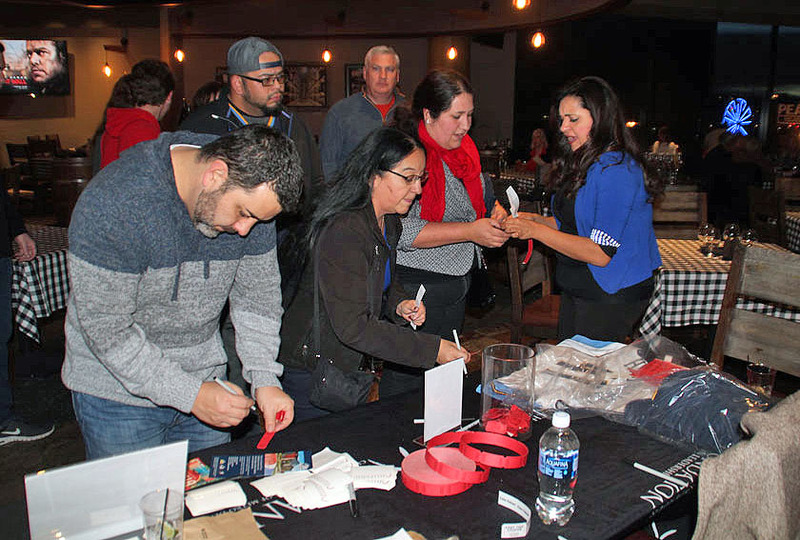 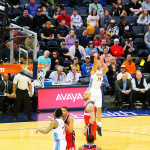 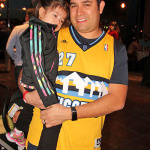 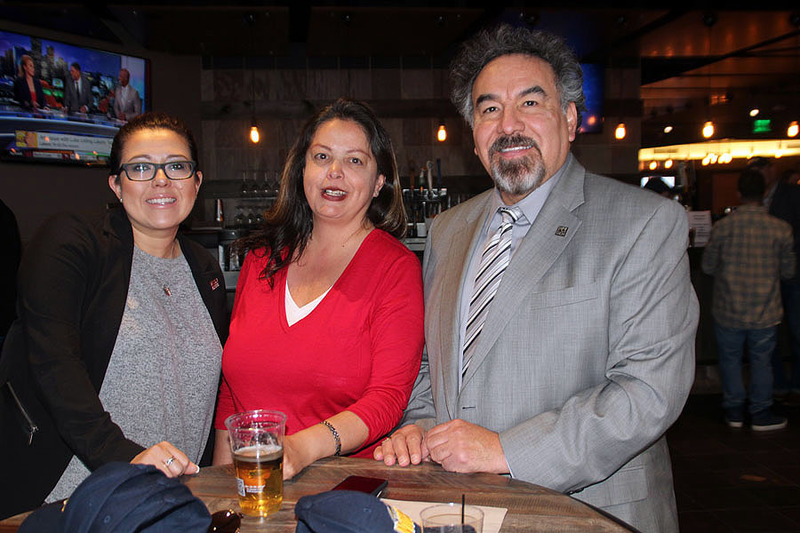 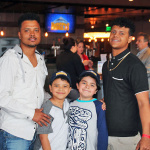 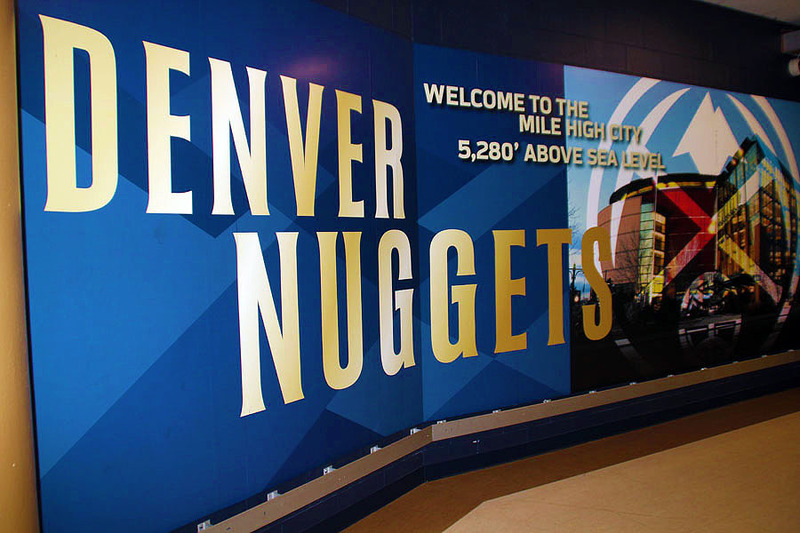 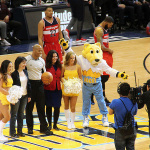 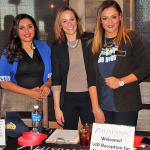 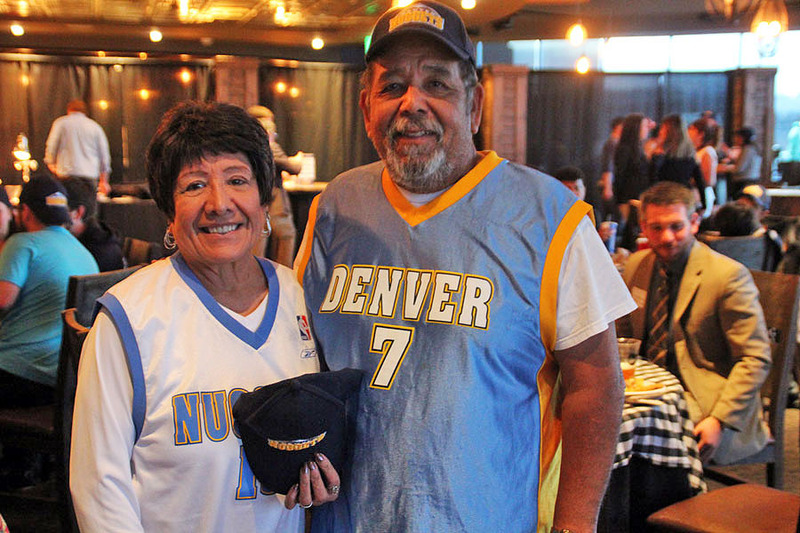 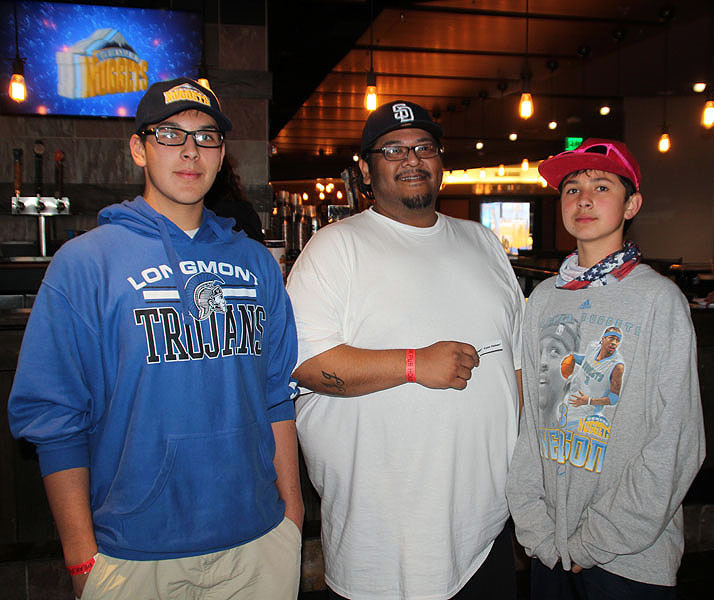 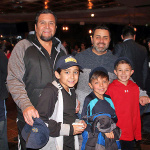 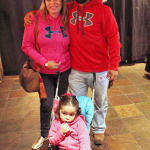 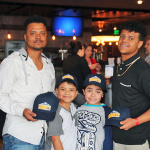 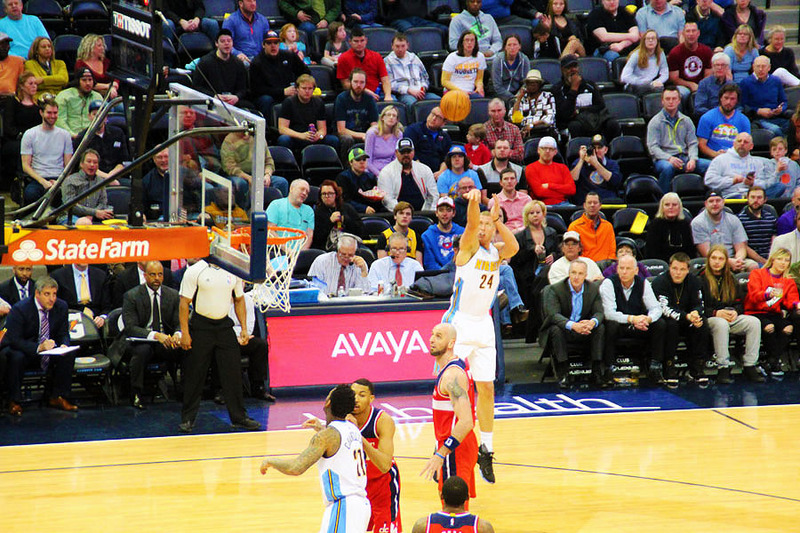 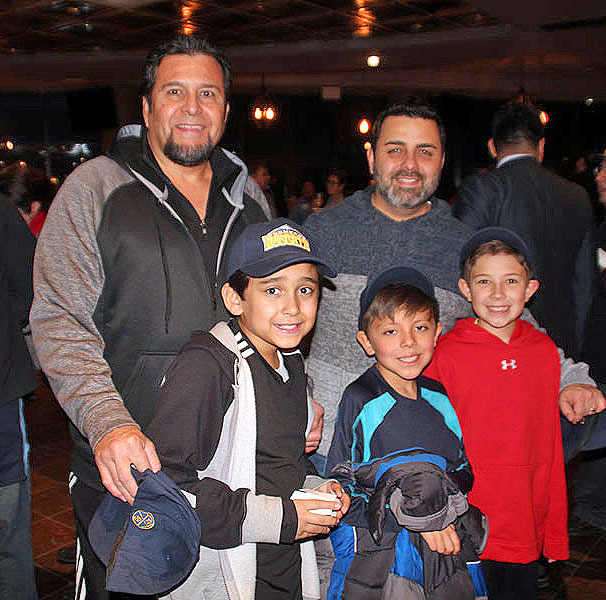 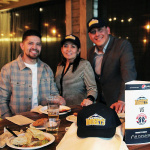 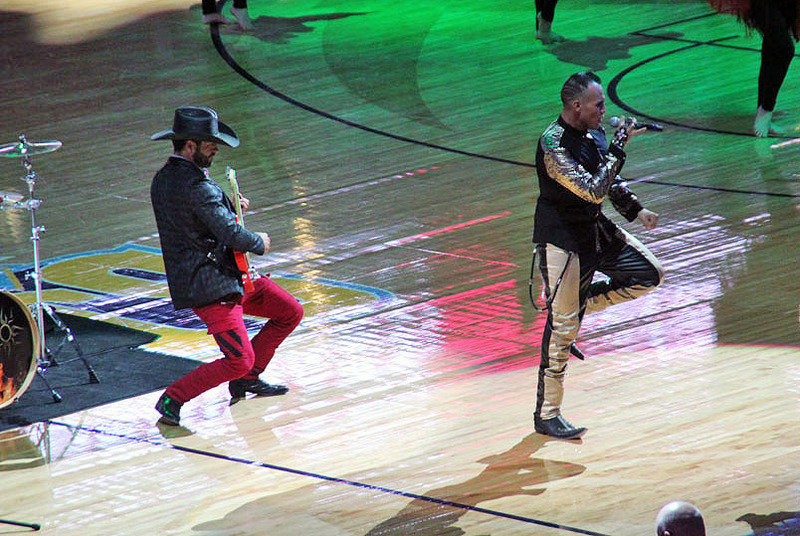 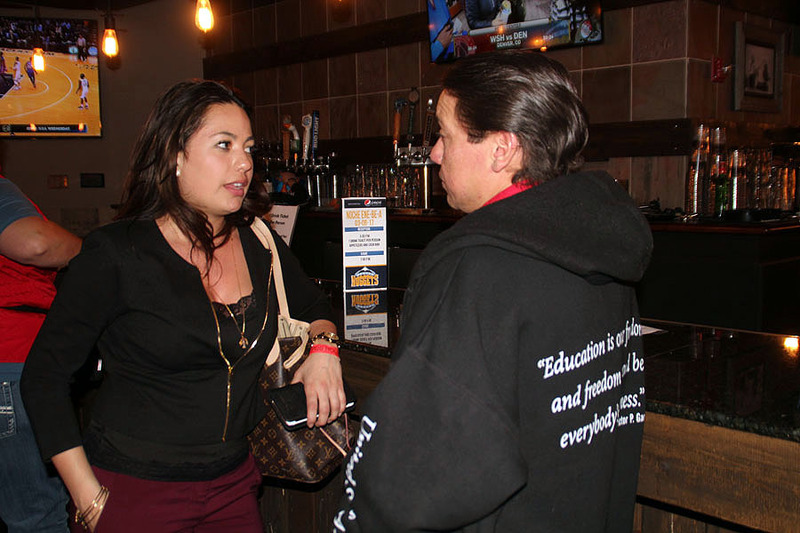 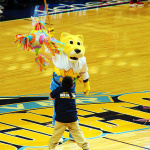 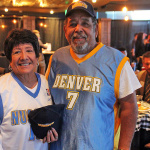 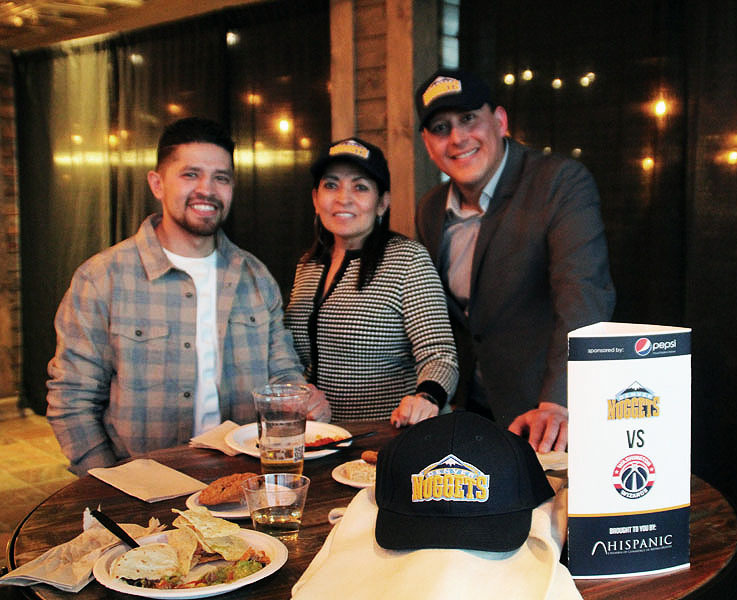 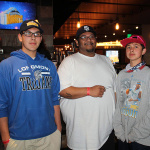 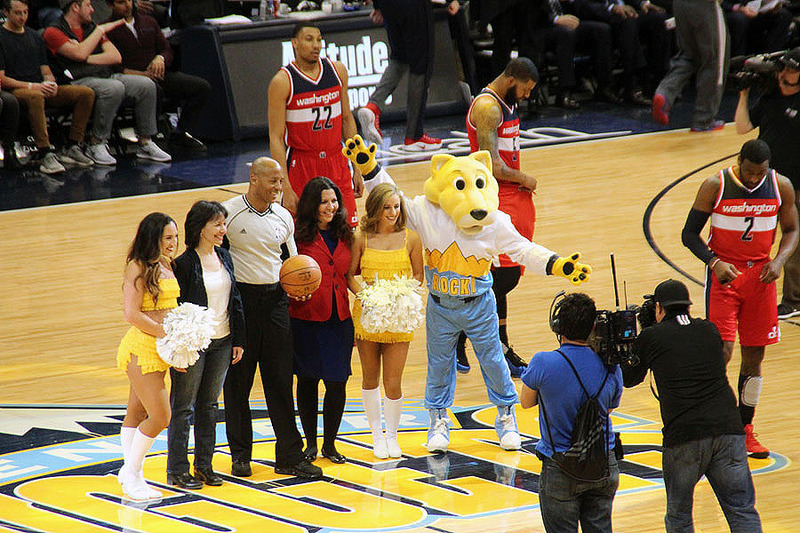 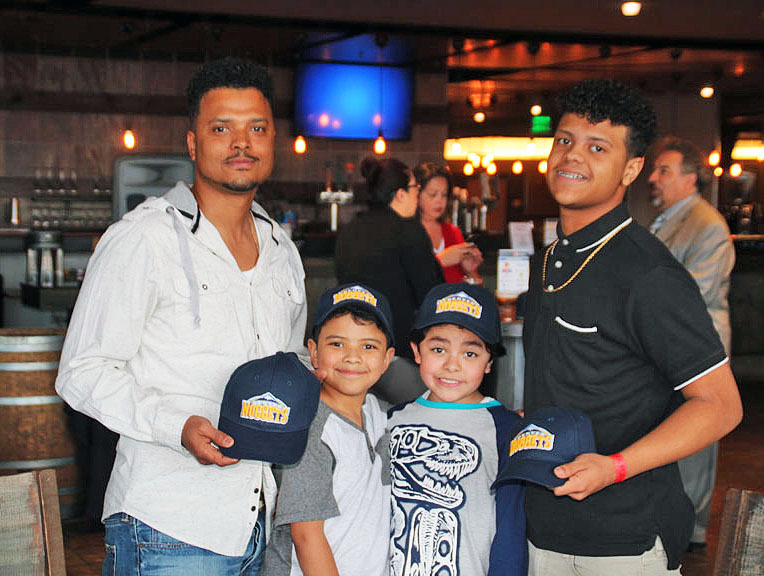 Hundreds of Latinos turned out Wednesday night March 9th for the 11th Annual Noche Enc-Be-A (NBA Night) to see the Denver Nuggets take on the Washington Wizards. 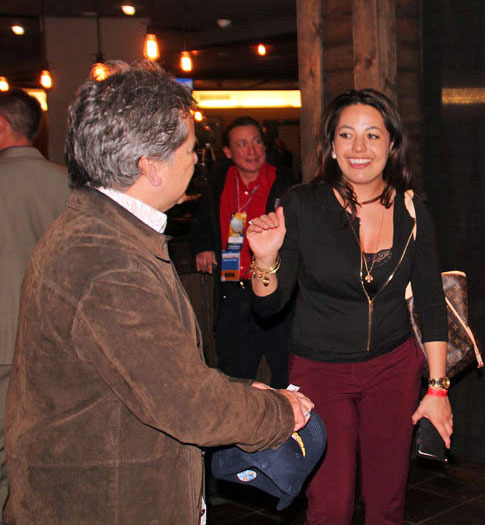 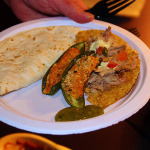 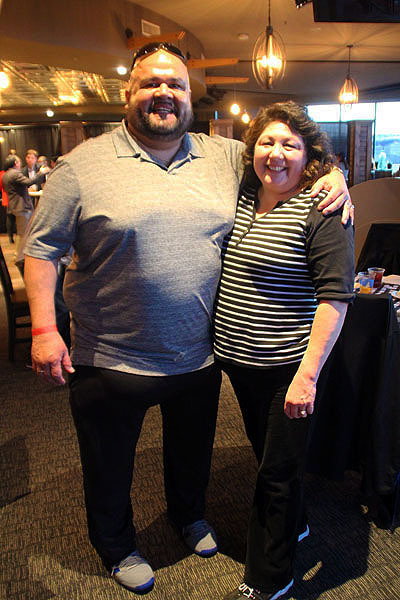 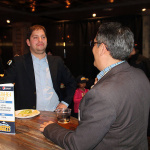 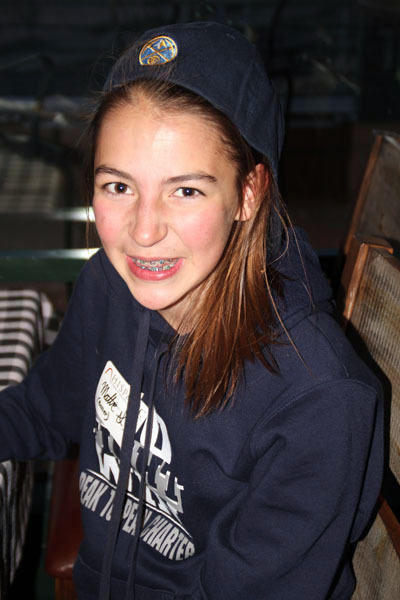 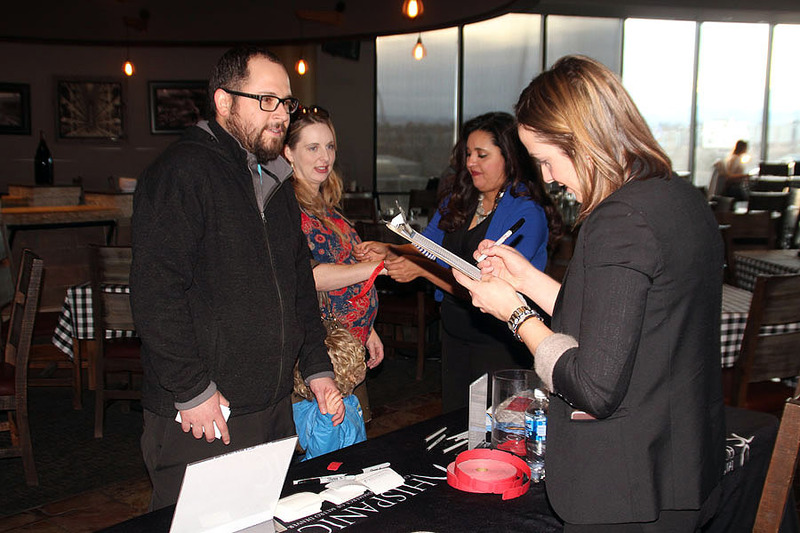 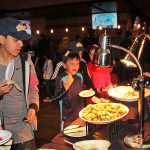 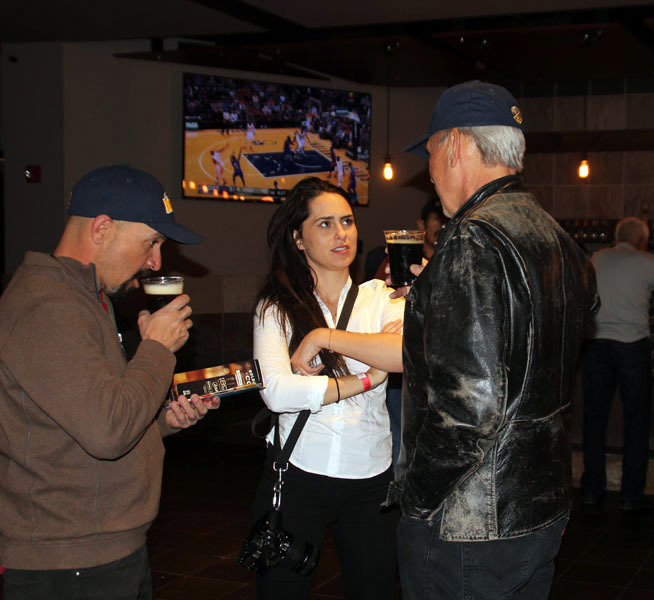 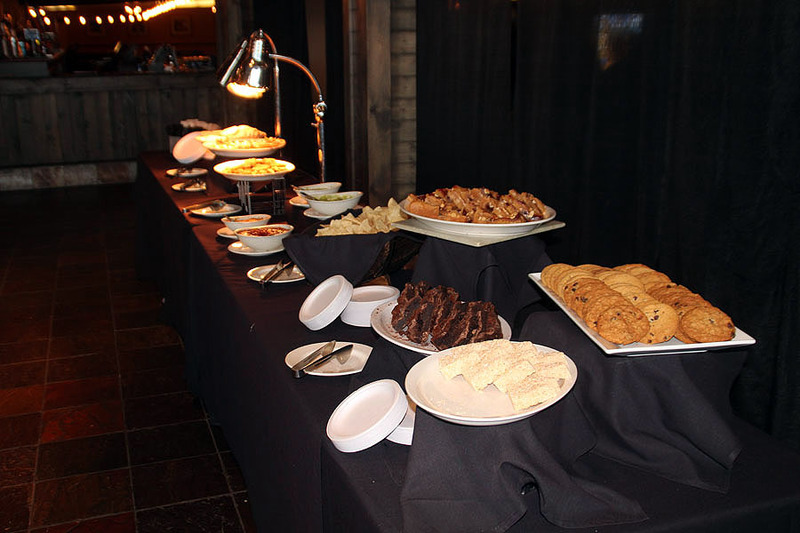 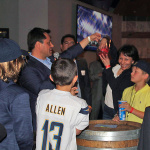 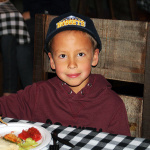 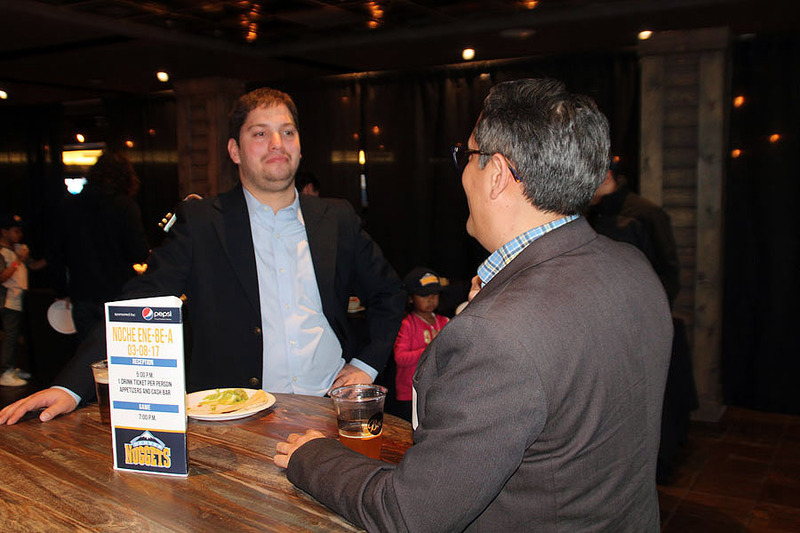 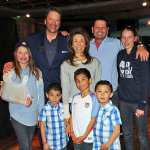 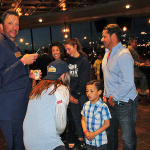 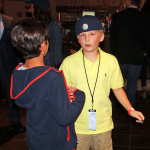 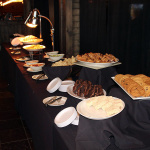 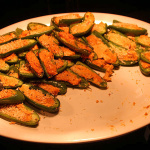 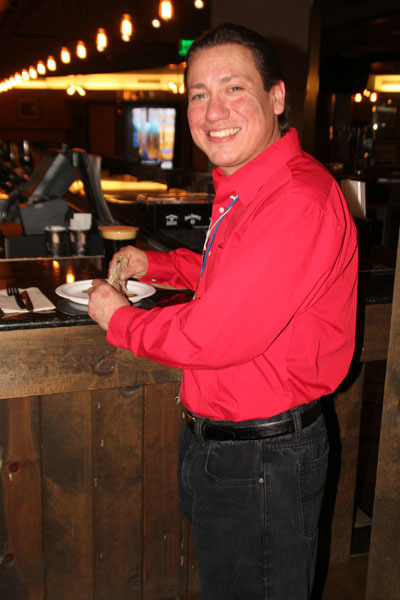 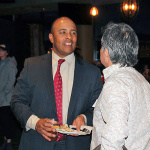 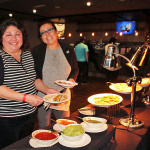 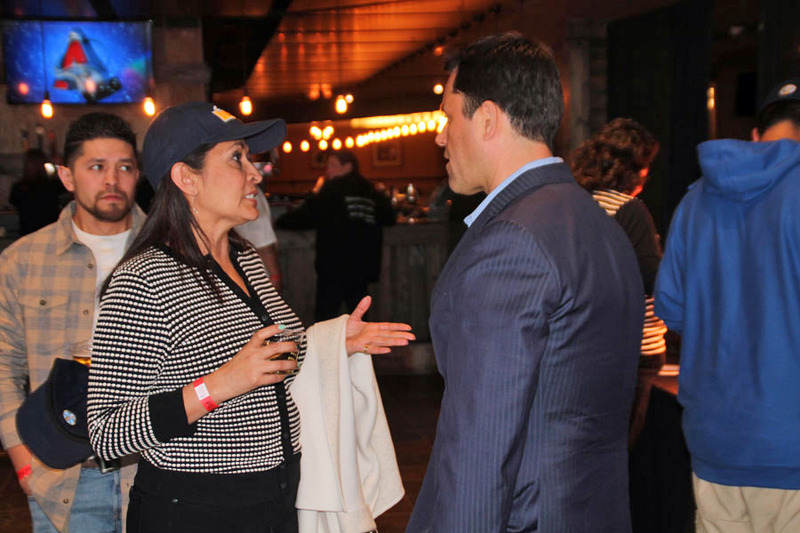 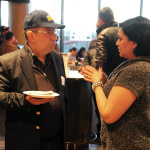 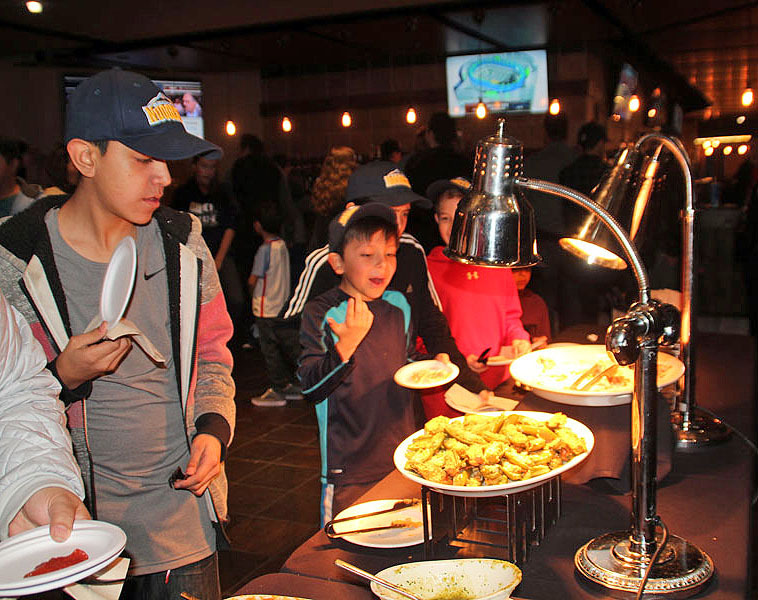 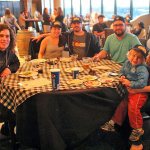 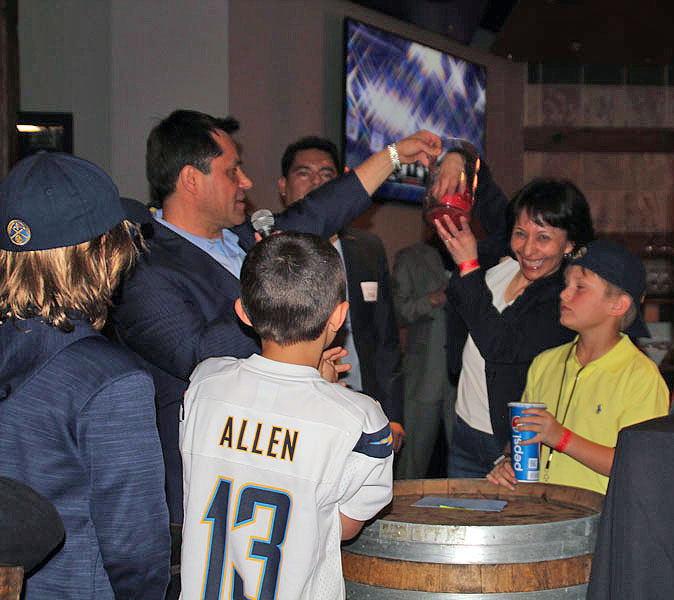 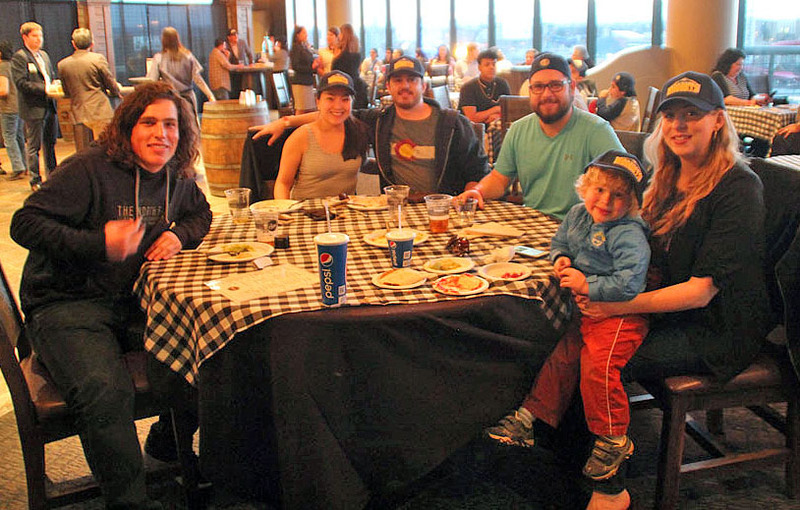 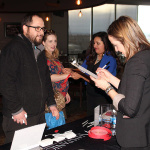 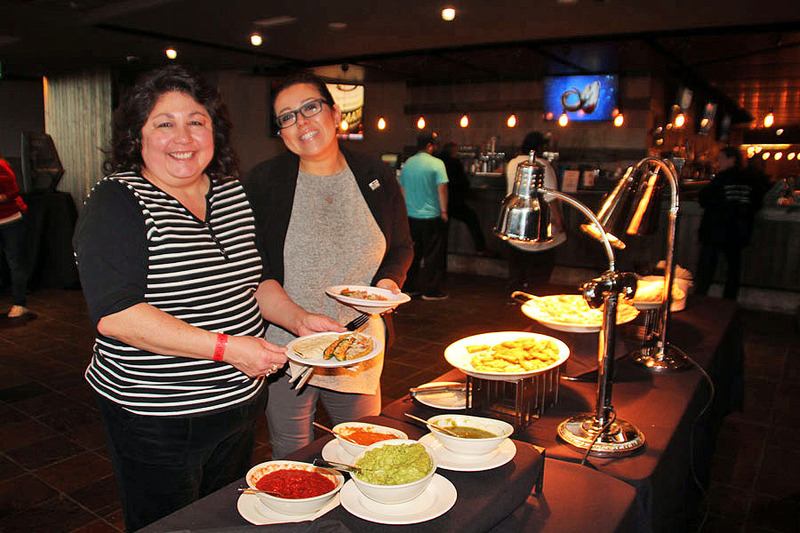 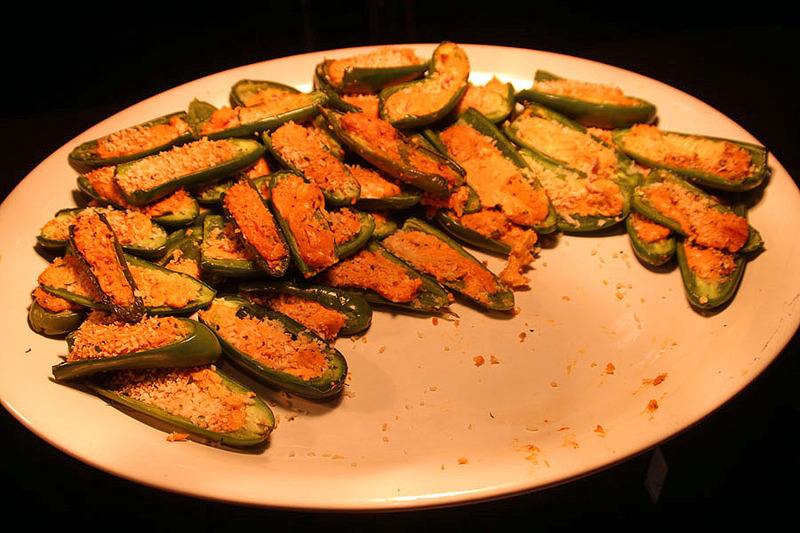 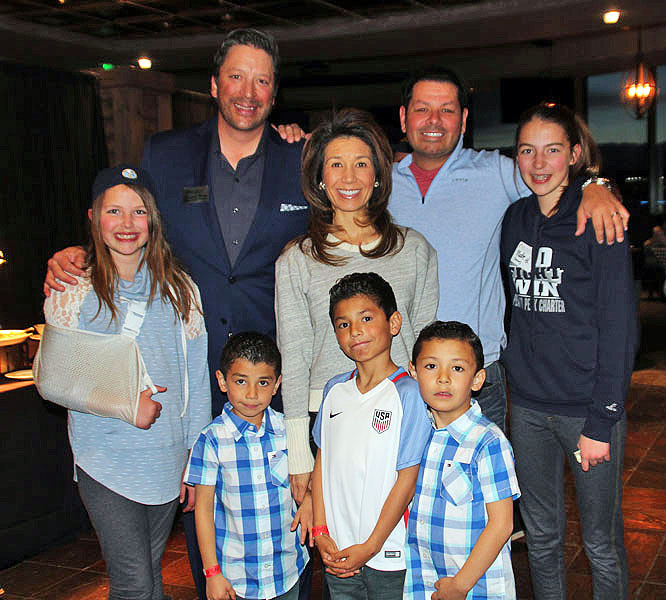 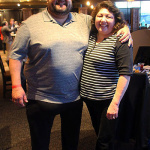 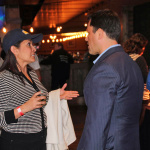 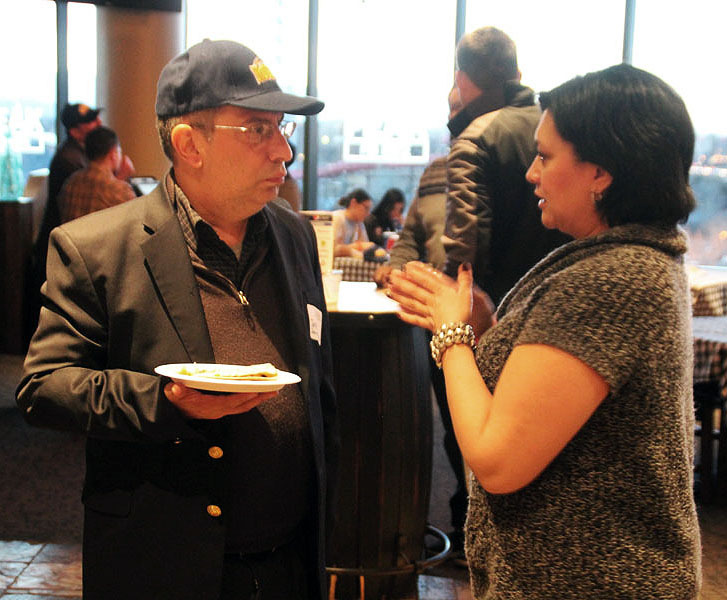 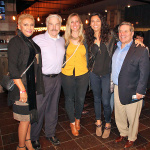 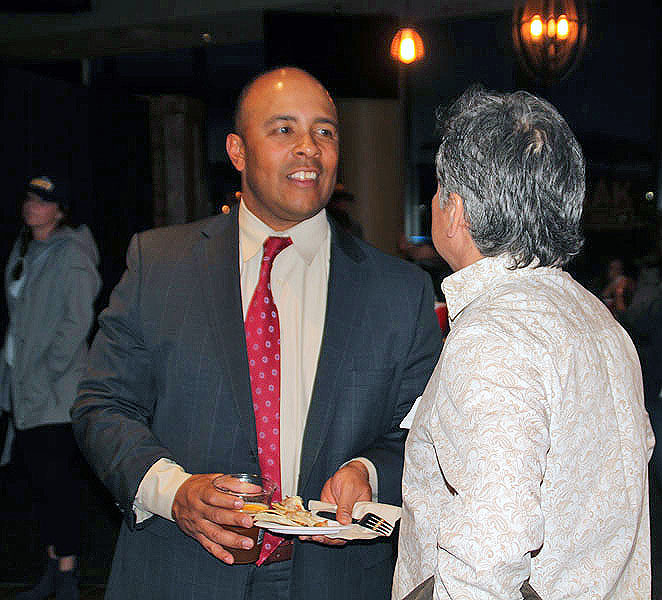 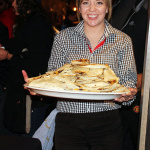 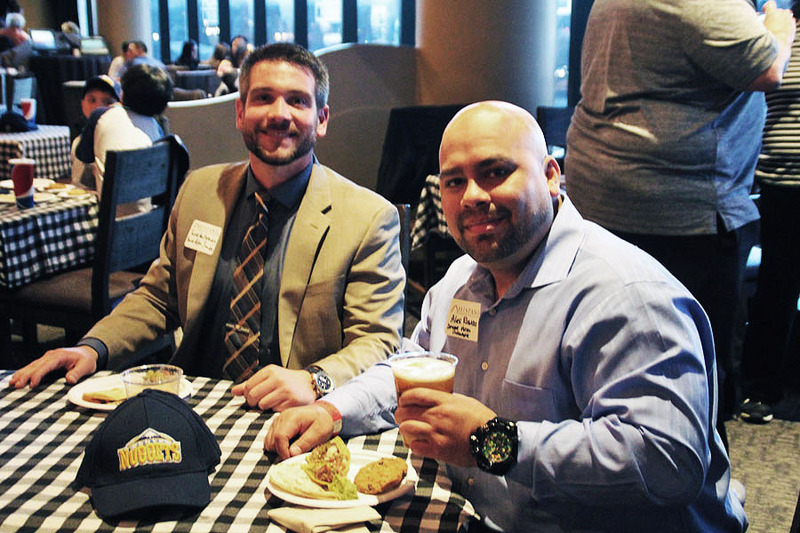 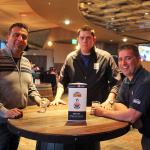 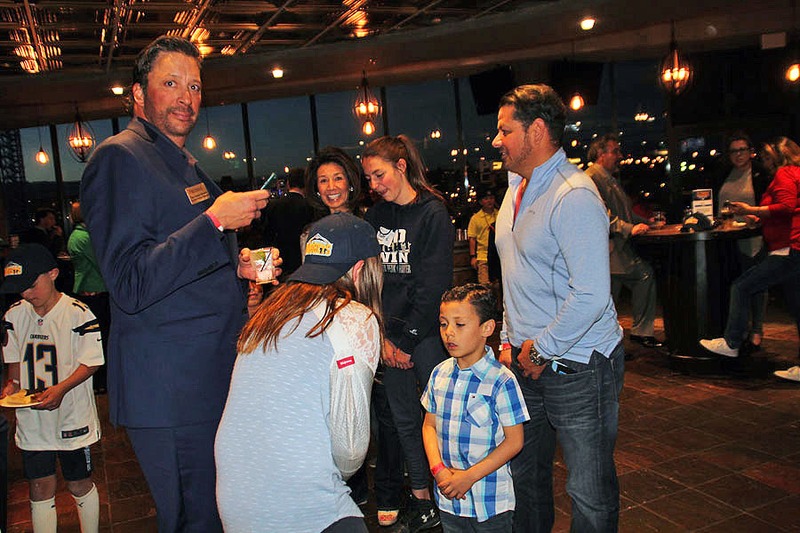 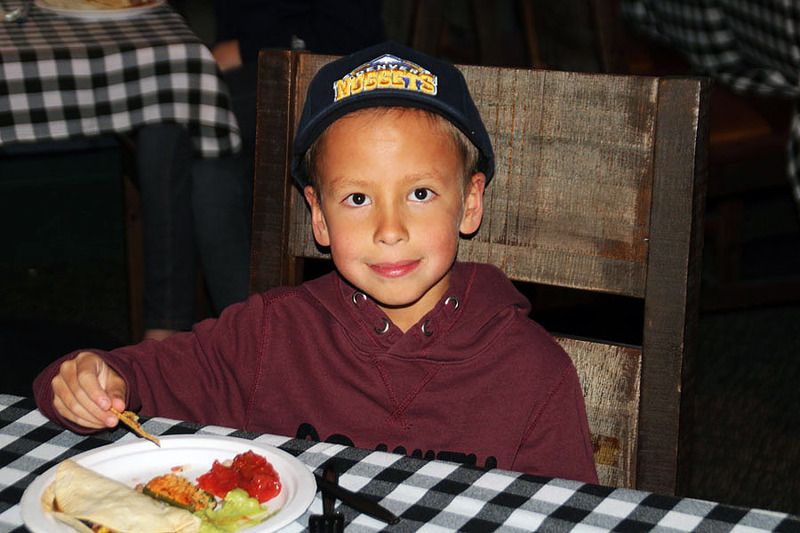 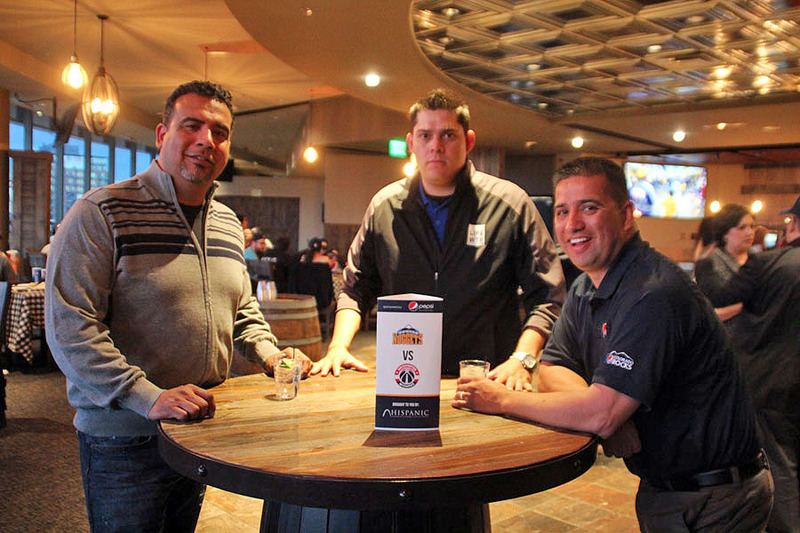 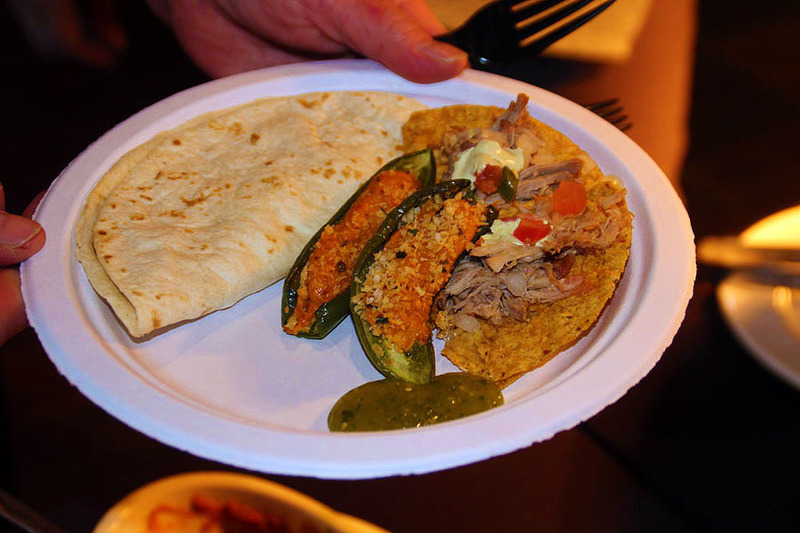 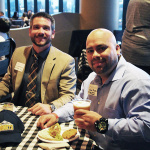 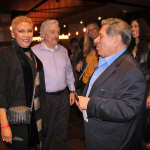 A pre-game party in the Pepsi Center’s Peak Lounge drew more than 200 people who enjoyed some delicious food and drink while networking and catching up with old friends. 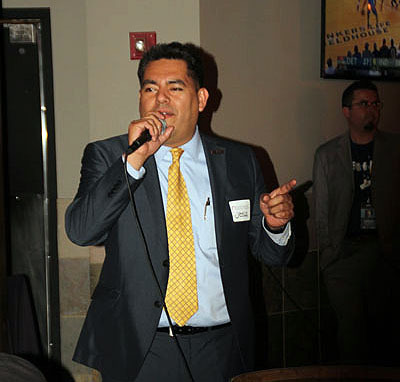 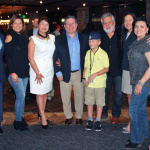 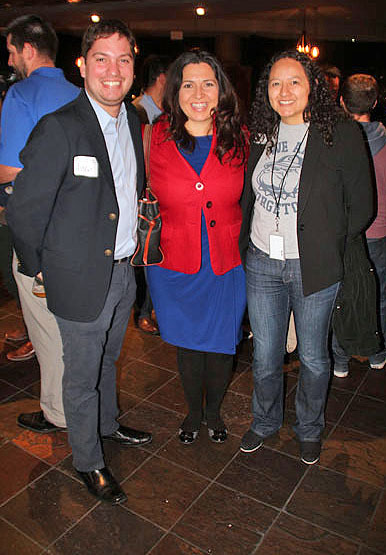 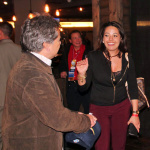 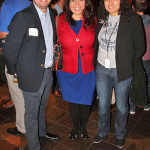 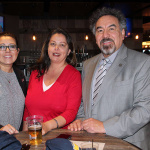 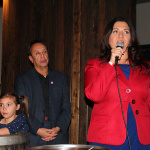 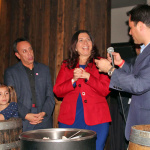 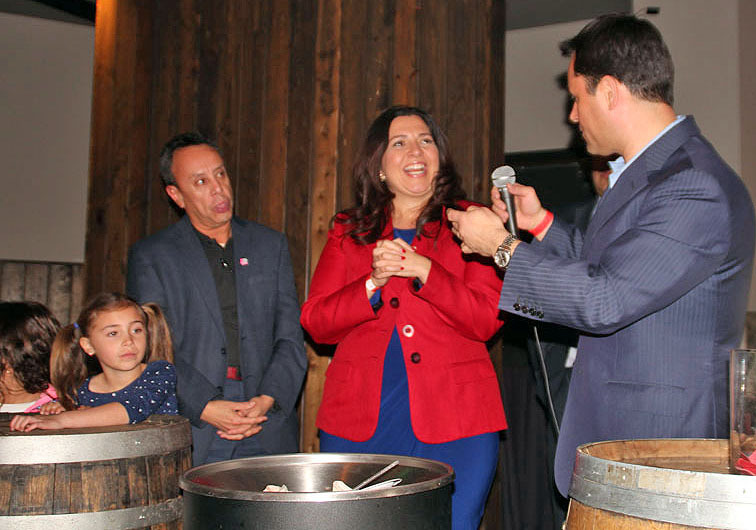 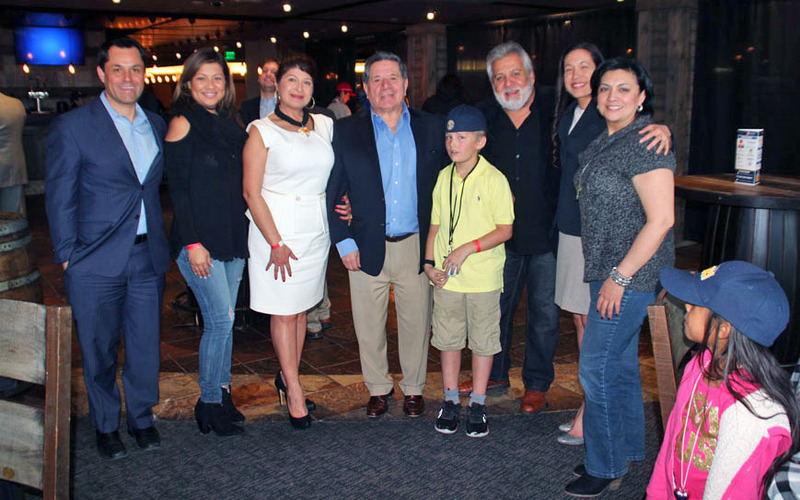 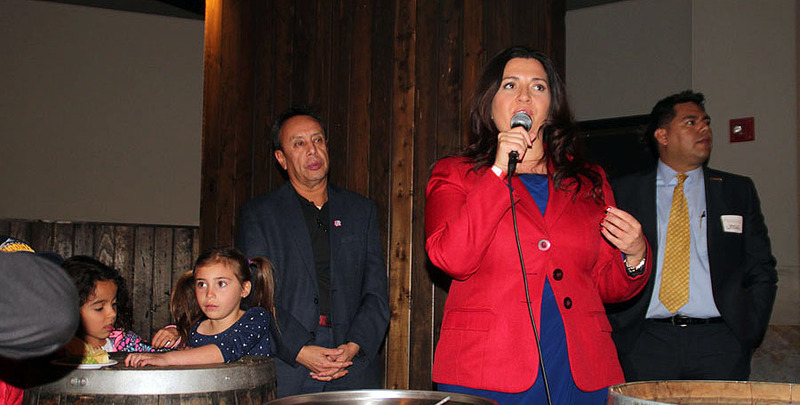 House Speaker, Christanta Duran and Jeremias Guzman Mexico’s acting consul general along with Mike Ferrufino, Chairman of the Hispanic Chamber of Commerce of Metro Denver were present for all the festivities. 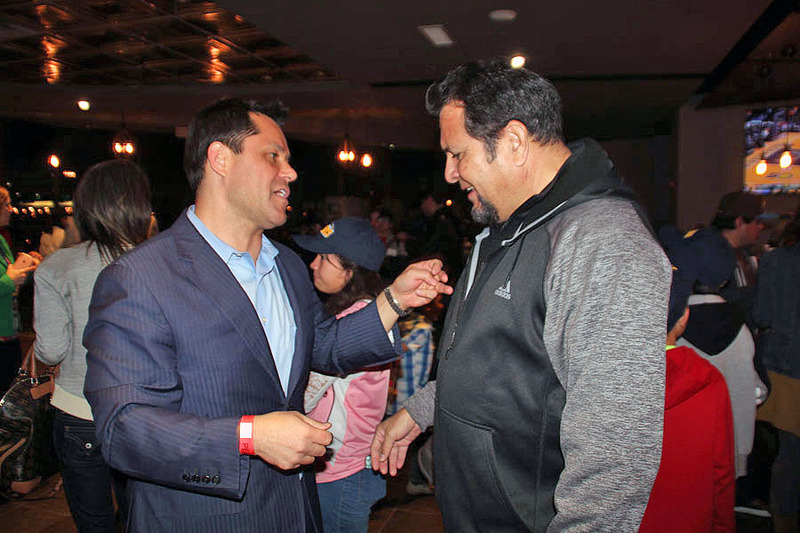 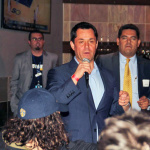 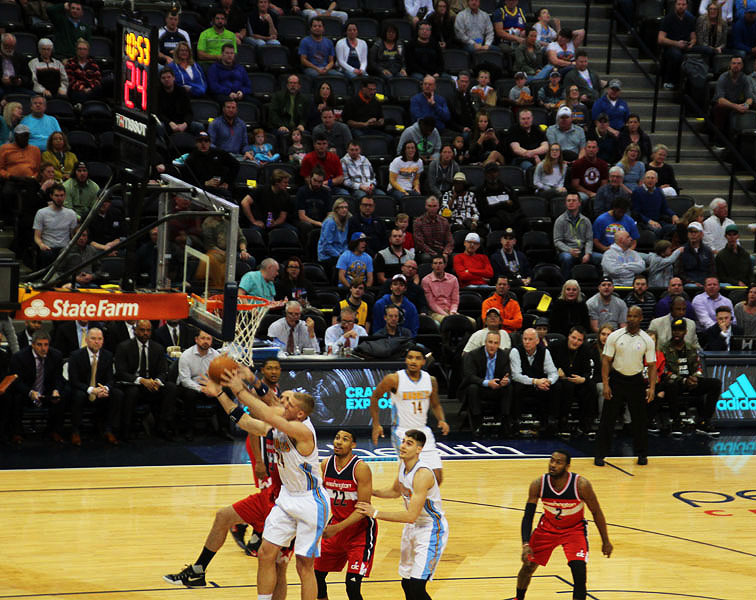 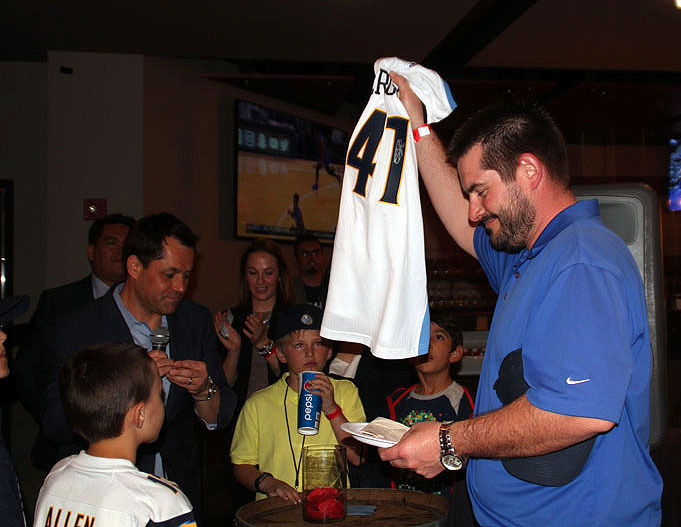 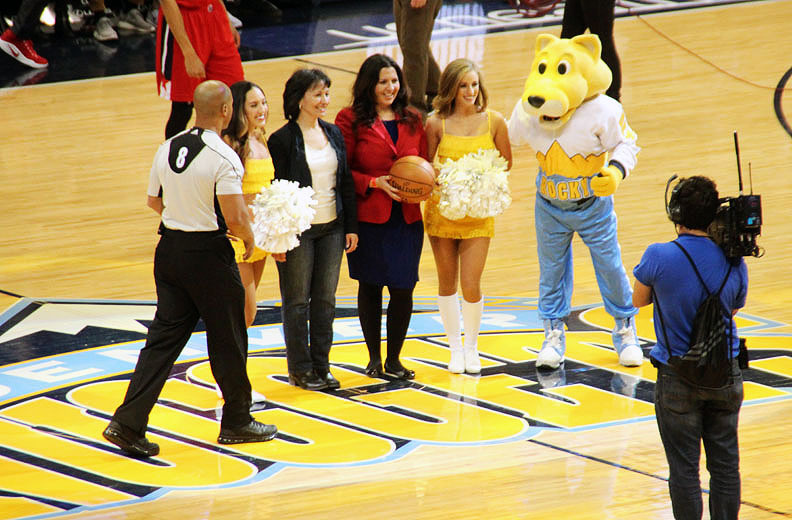 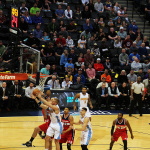 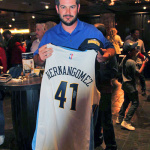 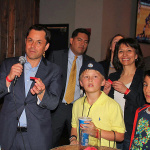 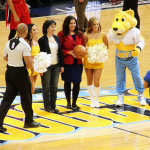 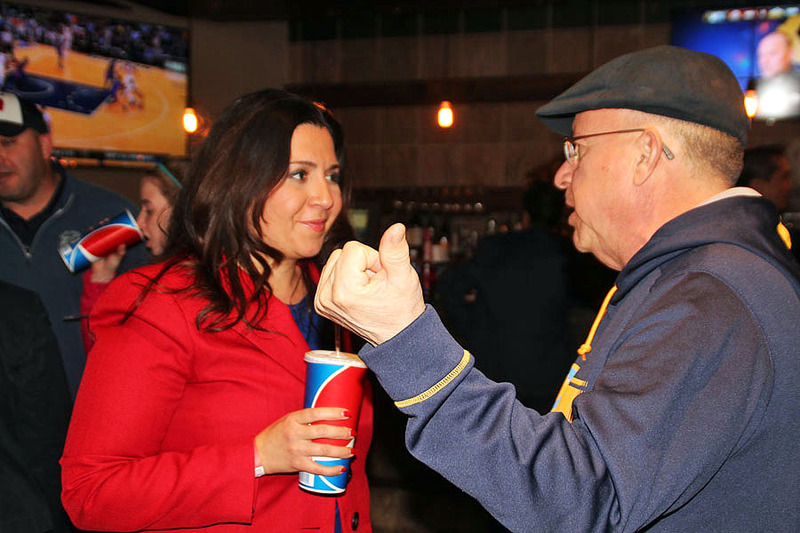 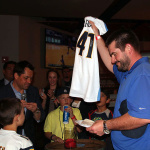 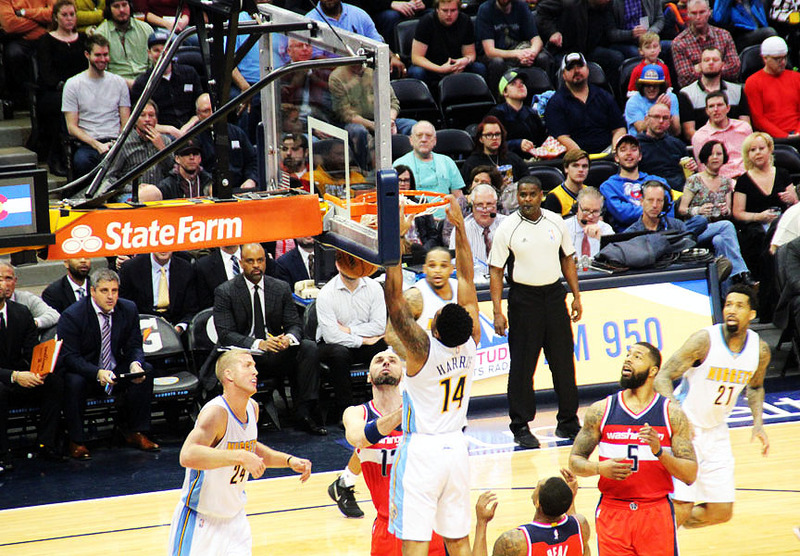 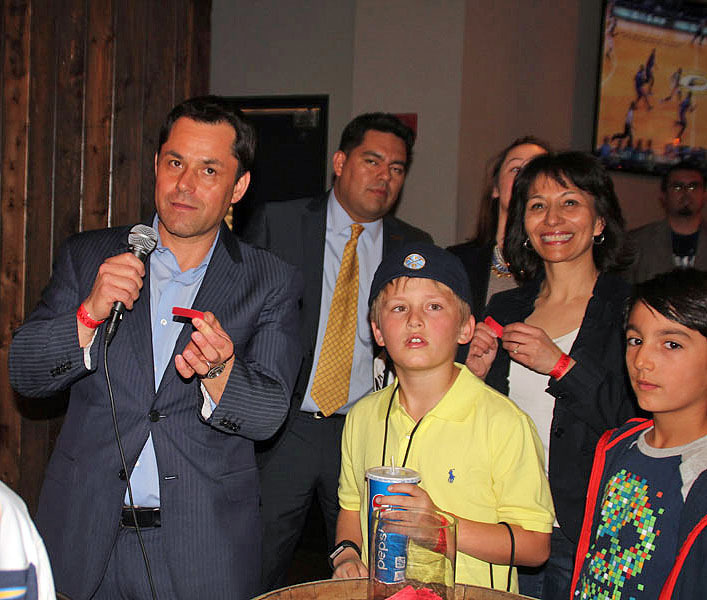 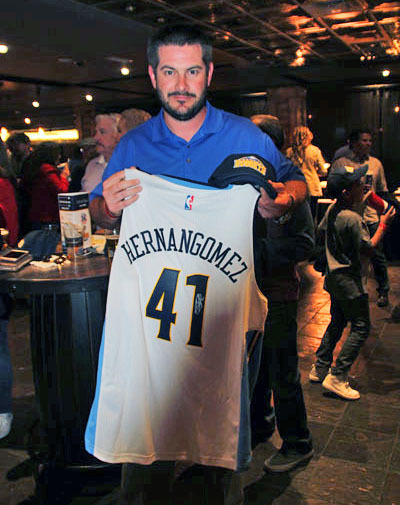 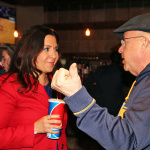 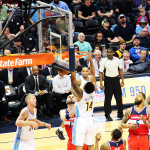 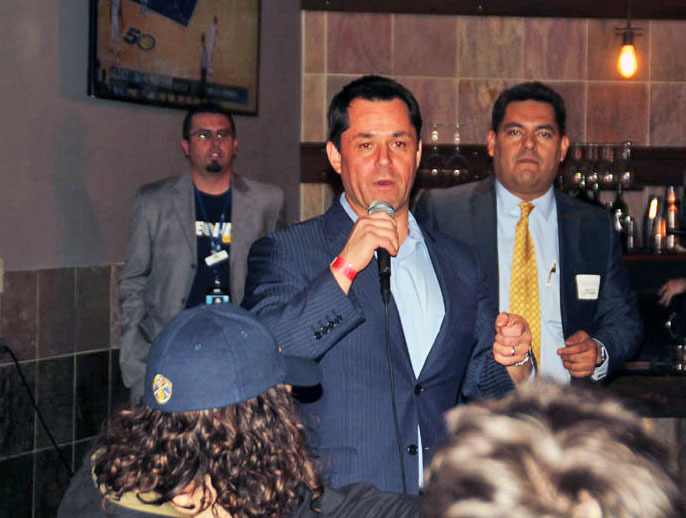 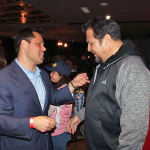 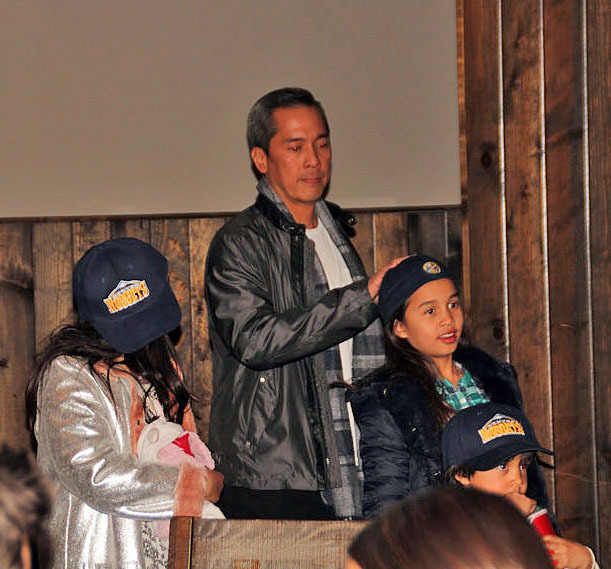 House Speaker Duran tipped off the game that saw the Nuggets fall to the Wizards. 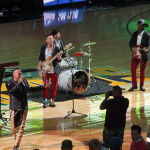 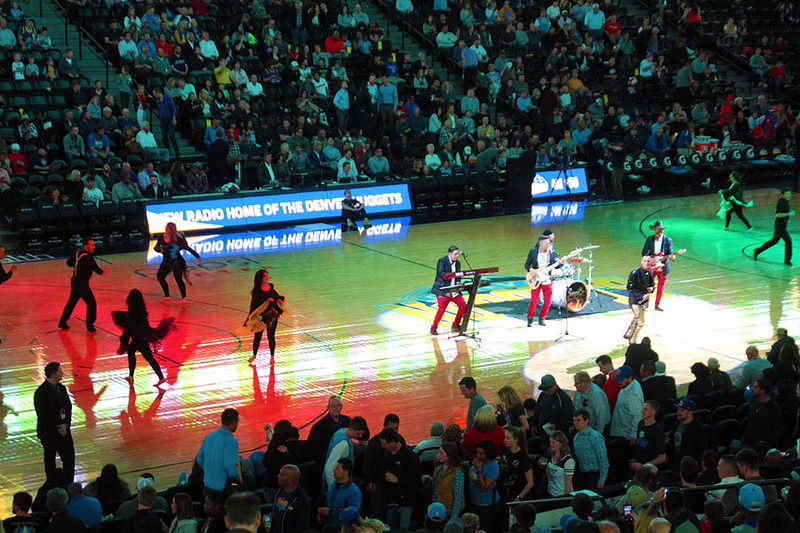 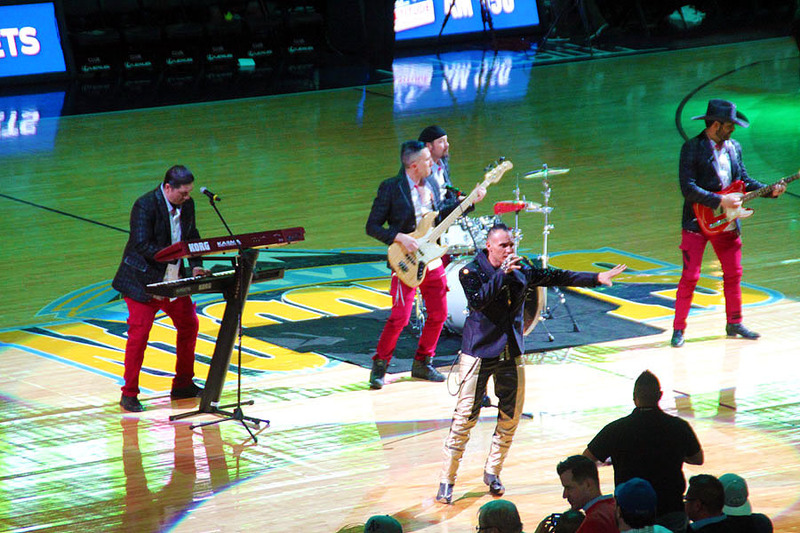 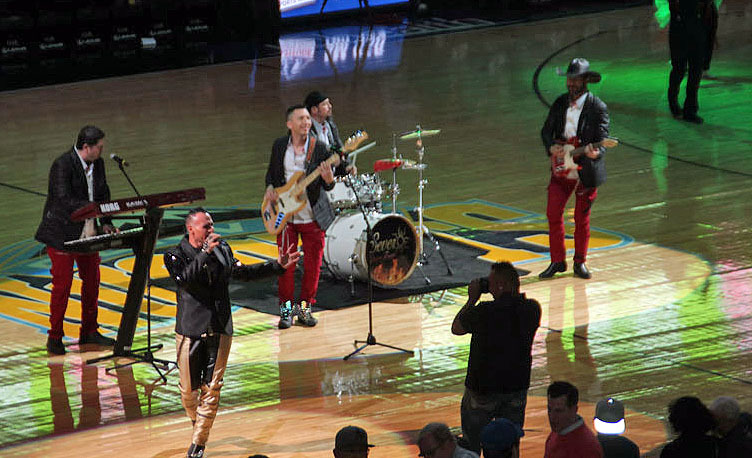 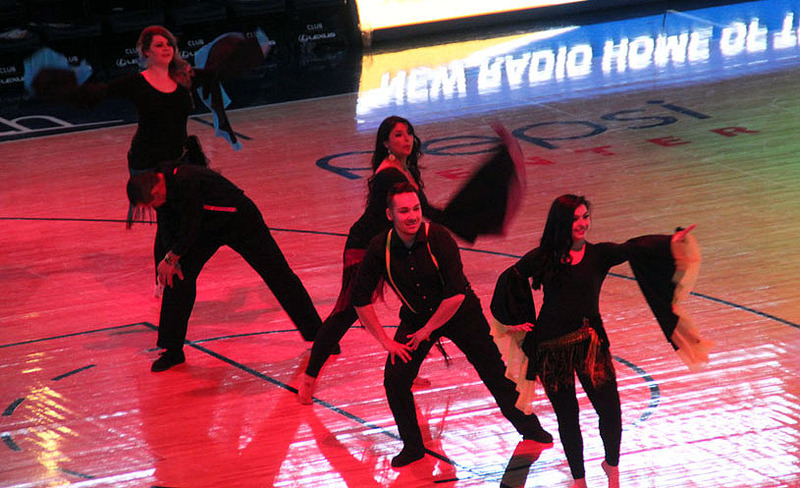 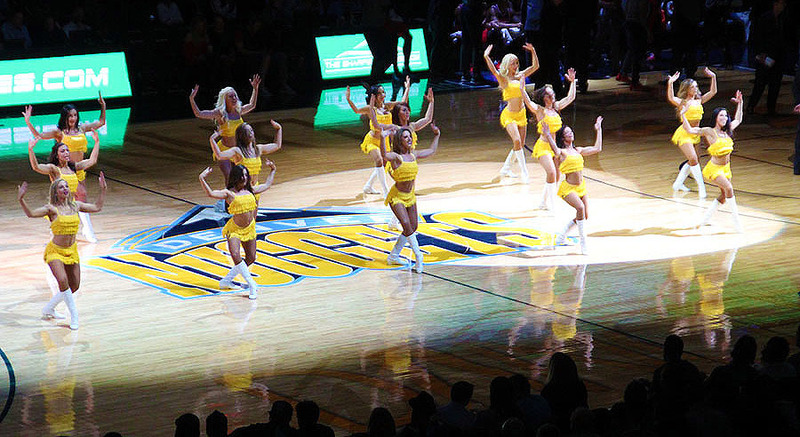 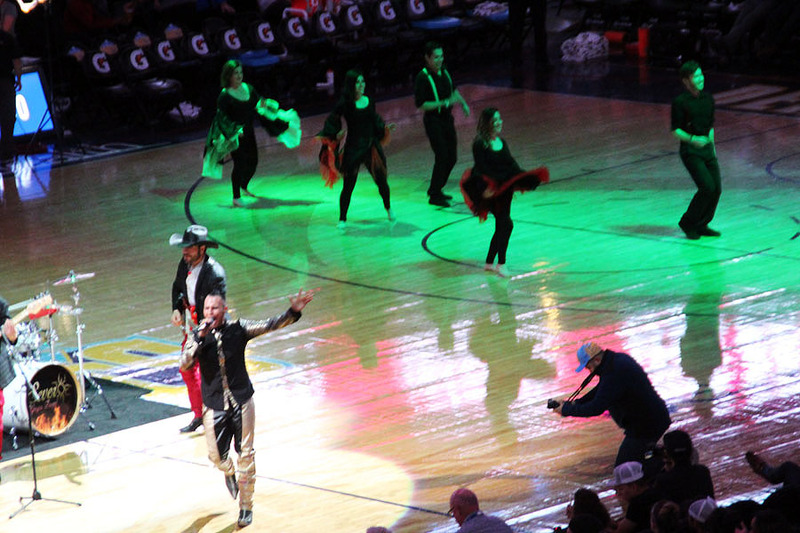 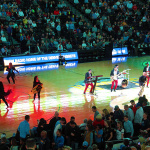 Half time featured a Latin band from New Mexico as well as a local Denver Latin dance company. 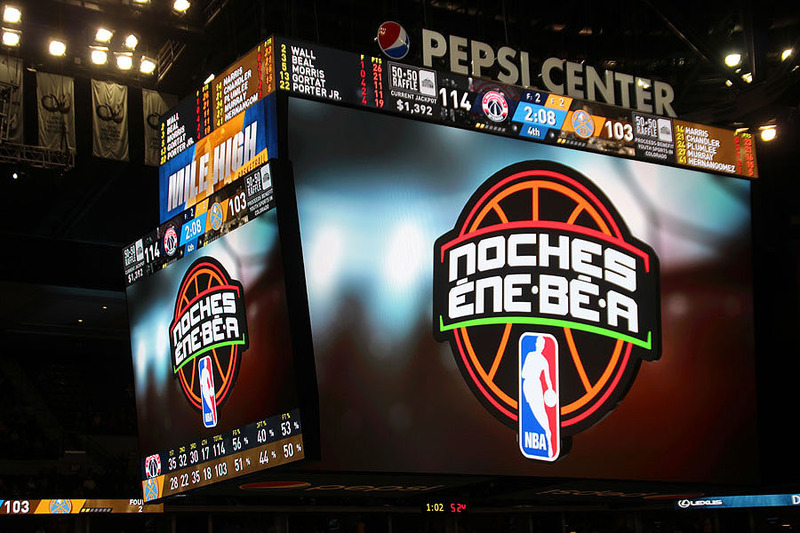 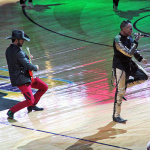 The Noche-Ene-Be-A night are featured in cites across the country where the National Basketball Association has large Hispanic audiences. 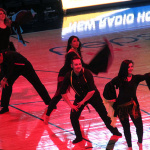 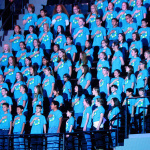 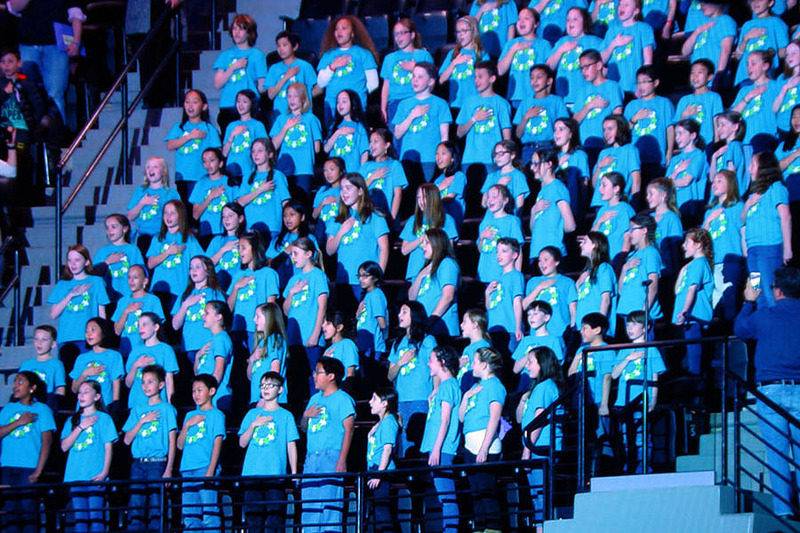 Chicago, Miami, Houston, Sa n Antonio, Phoenix and Los Angeles are among the cites that take part. 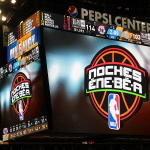 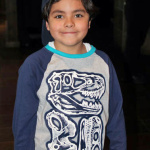 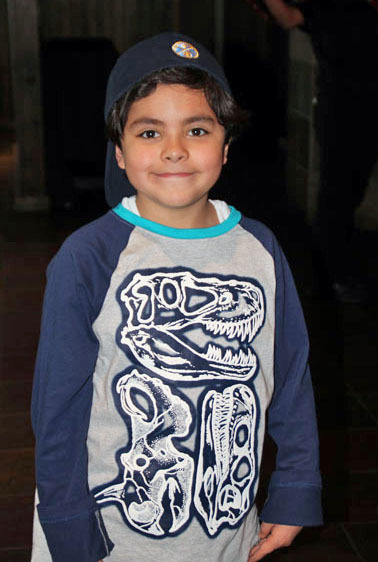 The themed games celebrate the growing support of NBA fans and players across Latin American and U.S. Hispanic communities. 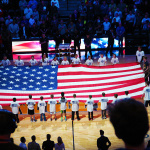 Several of the games are broadcast nationally. 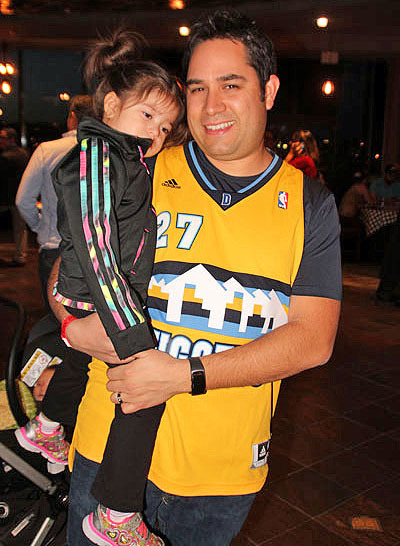 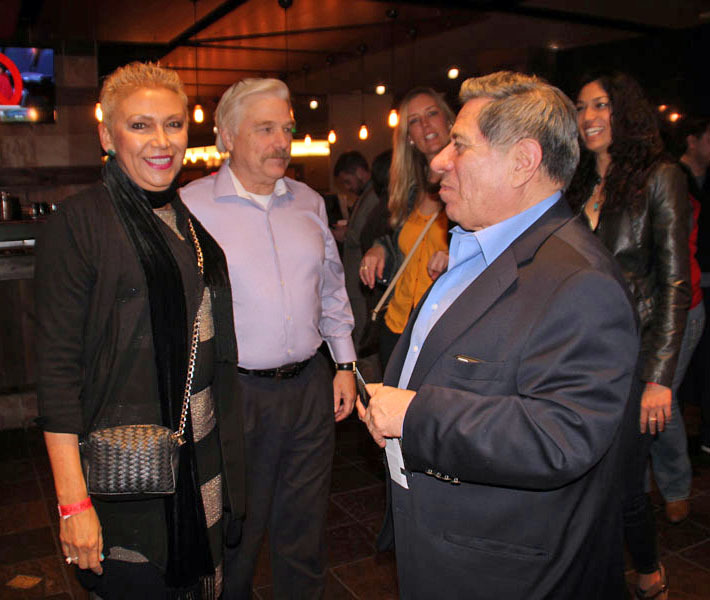 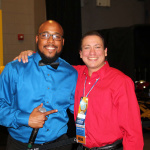 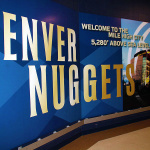 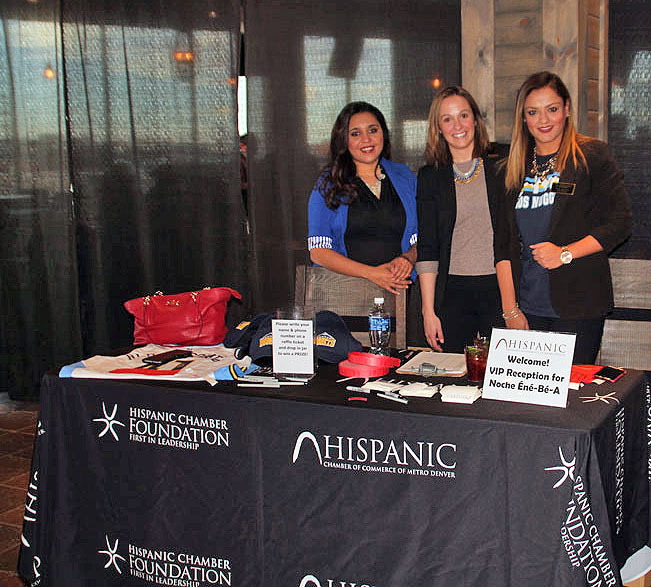 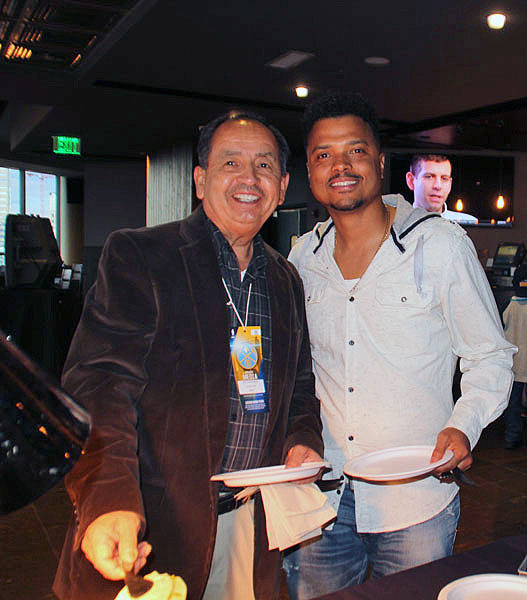 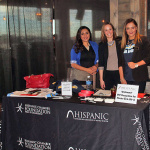 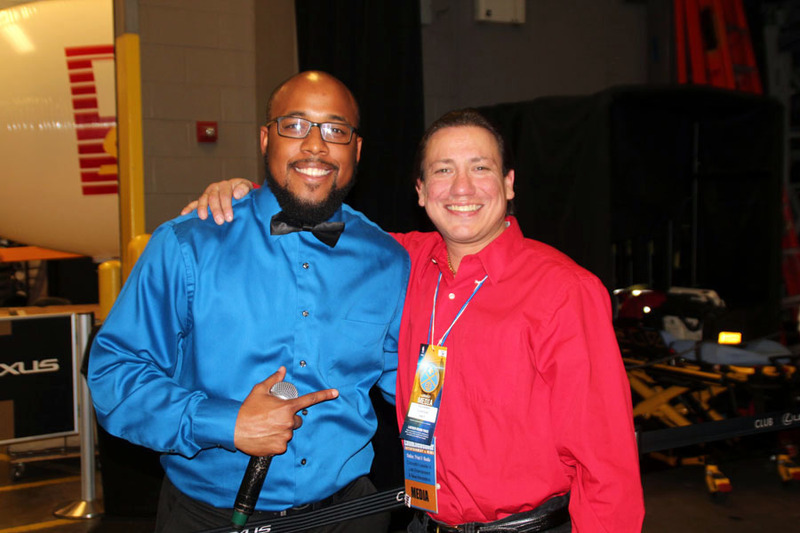 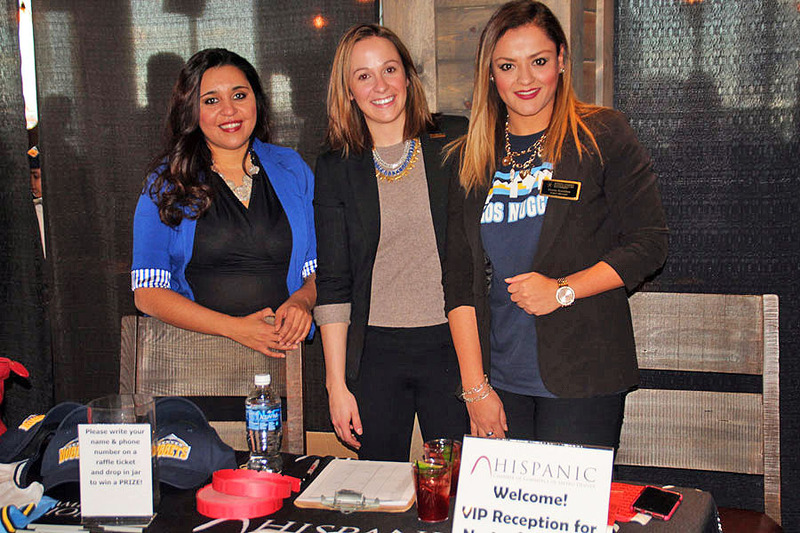 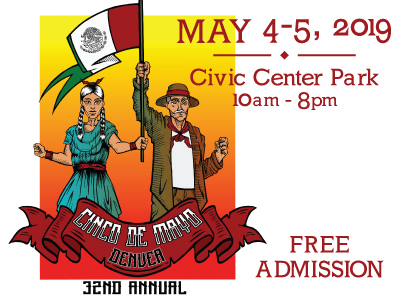 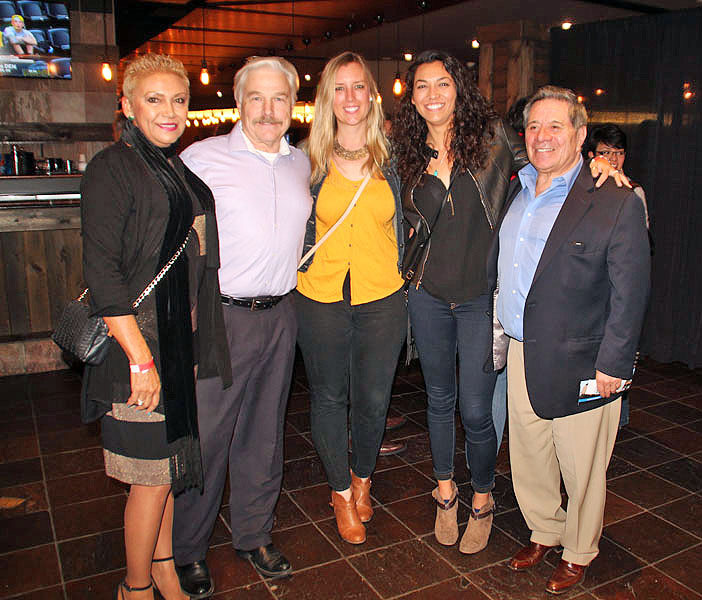 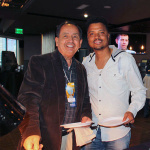 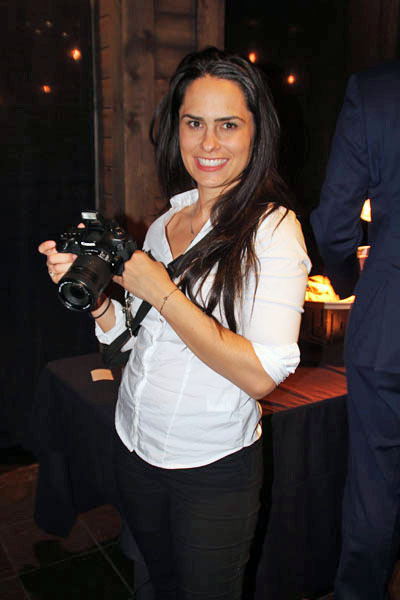 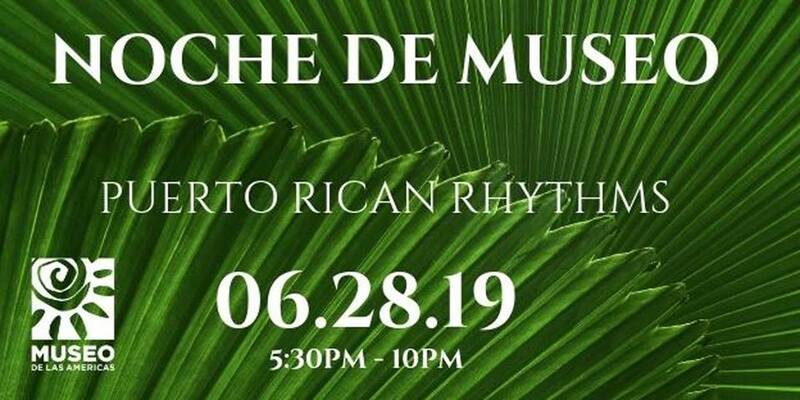 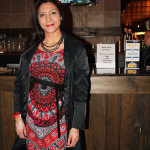 Denver’s Noche Ene-Be-A is organized by the Hispanic Chamber of Commerce of Metro Denver the annual event celebrates Hispanic patronage of the NBA. 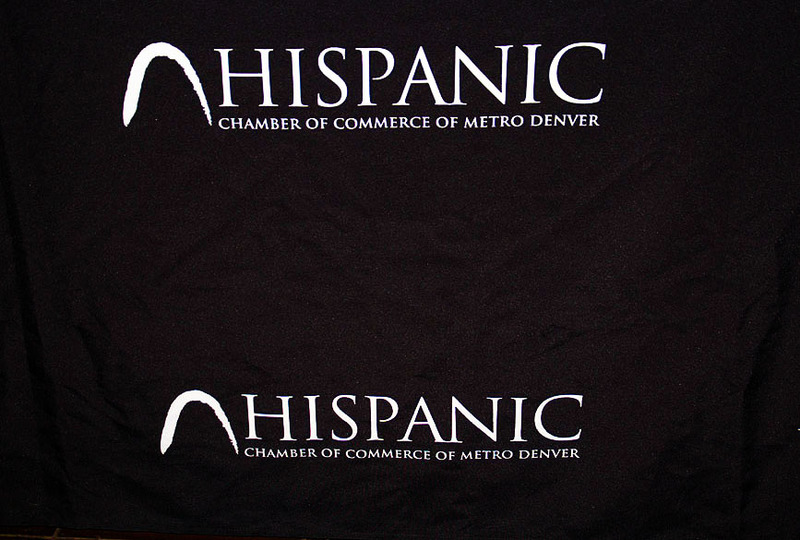 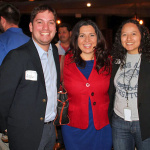 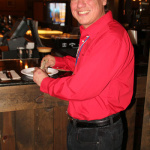 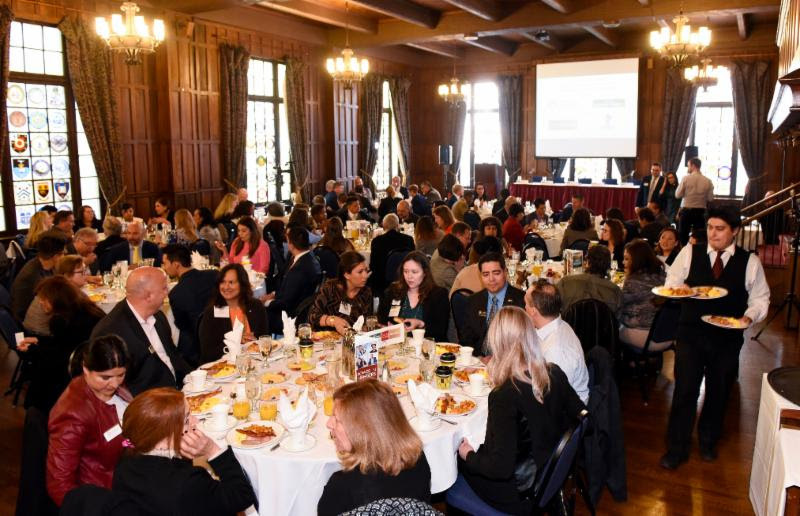 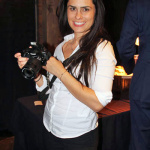 It is the mission of the Hispanic Chamber to promote and advance the growth of Hispanic business. 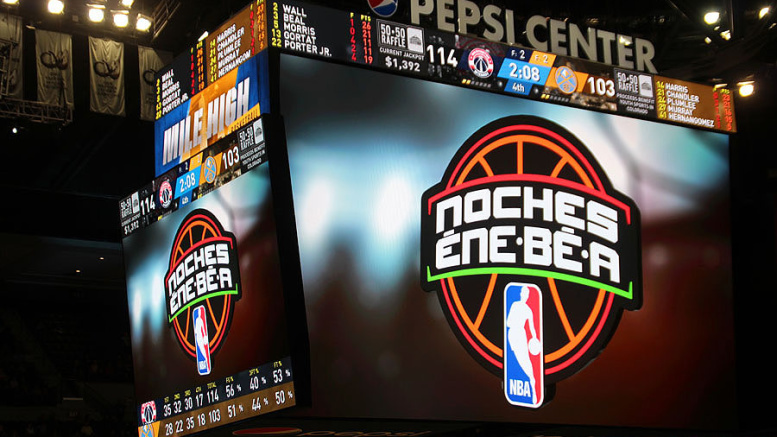 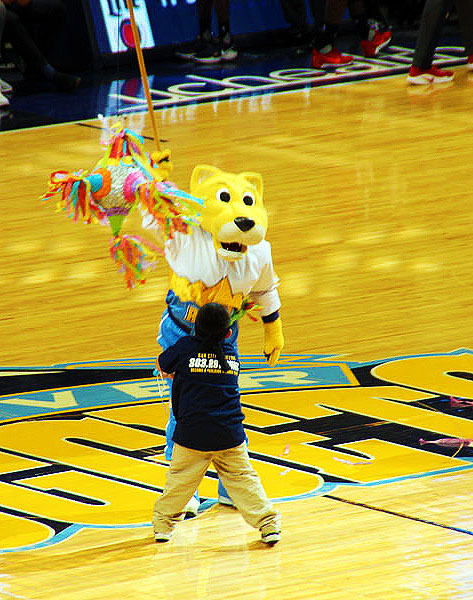 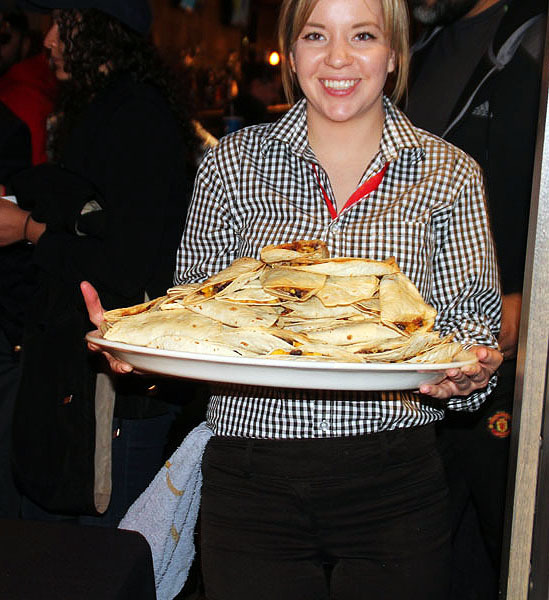 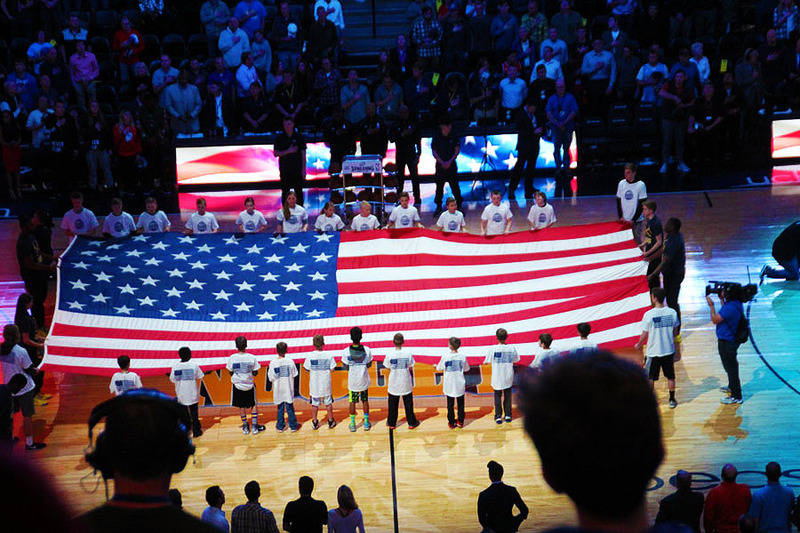 The annual event celebrates Hispanic patronage of the NBA. 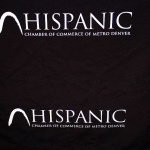 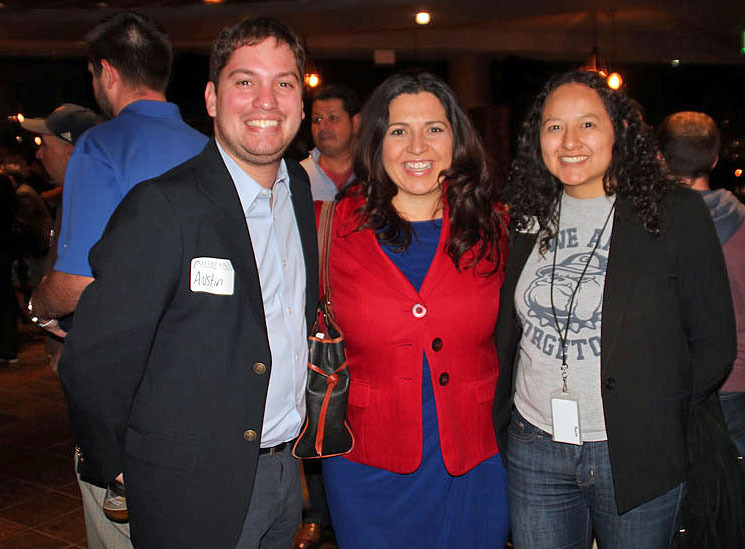 It is the mission of the Hispanic Chamber to promote and advance the growth of Hispanic business. 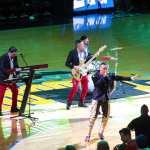 Latinos are the largest and fastest growing Hispanic fan bases in U.S. professional sports — more than 65 percent of Hispanics are fans according to NBA.com.